THE SIMPSONS: It’s almost crazy it took this long for the show to parody HAMILTON this deeply. (The turnaround time with animation is bonkers long, but still.) It was a fun episode. AMERICAN IDOL: It didn’t feel like the wrong people went through, but man, pairing up the kids with (mostly) music legends/established artists felt like awkward timing. On one hand, it did really separate some of the talent (aka those who could hold their own versus those who felt like they were doing karaoke), but on the other…there were only a couple of really memorable performances. 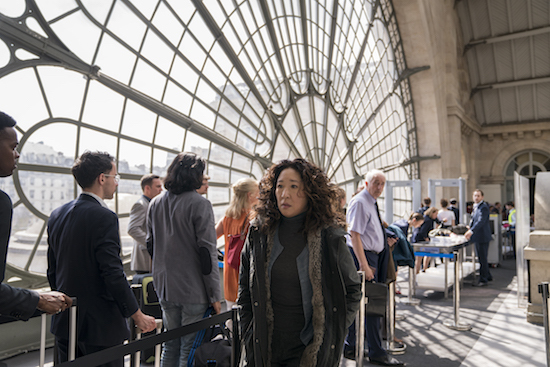 KILLING EVE: The show felt pretty tailor-made for a one-season run, so I was really pleasantly surprised by the season 2 premiere: it was energetic, didn’t feel like it was dragging, and it kept the magic from season 1. I’m still not sure how long the show can feasibly go on (the danger in a cat-and-mouse show and when the most electric element is when the two leads are together. See: THE FOLLOWING), but for now, I’ll enjoy the ride.